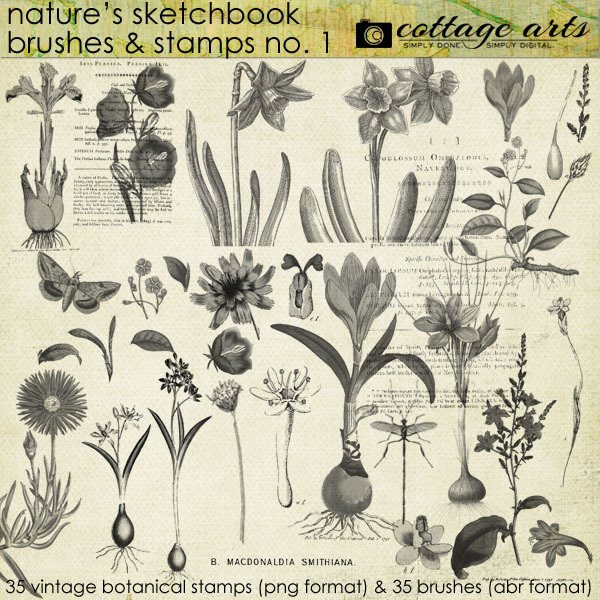 Create your own collage art with our first Nature's Sketchbook brush and stamp set, including vintage botanical illustrations and book print from our collection. Use as brushes or fill stamps with papers or colors. Experiment with layer blend modes for soft, collage artwork. 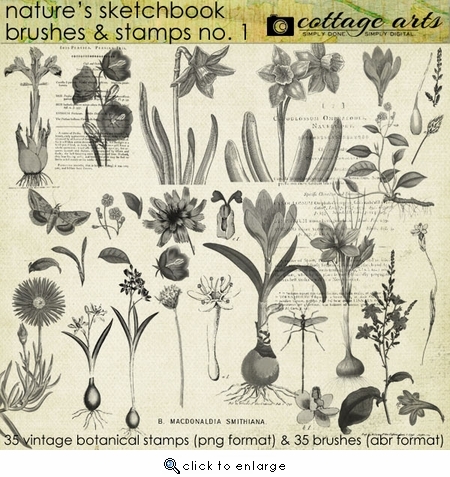 Enjoy 35 vintage botanical stamps in PNG format and matching brush set(shown actual size [or smaller than actual size] on 12x12 300 dpi paper above). Compatible with Adobe Photoshop Elements 5 and above and Adobe Photoshop CS and above.